Purchase now, for fast delivery in PDF format via e-mail. 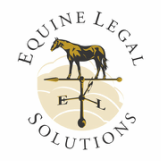 Equine Legal Solutions offers ready-to-use downloadable equine legal forms. Once you purchase an equine contract with a secure credit card transaction, you will receive an email containing a link to a secure download page and download instructions. It's fast, it's easy and it's secure. Form Requirements: Adobe Acrobat Reader 9.3 or higher. Prices include free, lifetime updates. If you’re not fully satisfied, we’ll cheerfully provide a full refund – see our Forms Guarantee. Prices include the ability to make copies for your own use – see our License Agreement for applicable restrictions on use. Fillable PDF, allowing you to type in information on your computer, then print out and save the filled-in document. Designated space at the top of each page for your business name (optional). 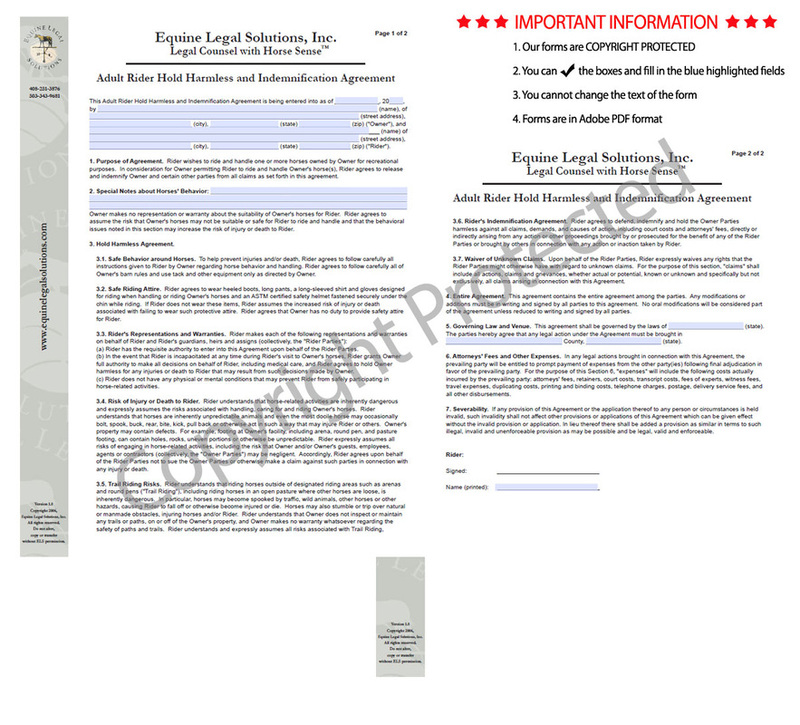 PDFs are accessible with Adobe Acrobat Reader software, a free product. To make sure you can take advantage of all features, especially the fillable, saveable features, update your Adobe Acrobat Reader software before downloading our equine forms.